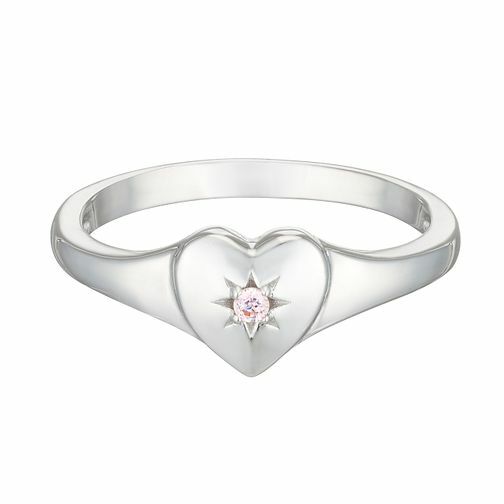 Treat your little ones with this gorgeous heart shaped children's signet ring. Created in shining sterling silver with a gorgeous pink cubic zirconia at the centre, this signet ring is the perfect mix of beauty and durability. Star design may vary.